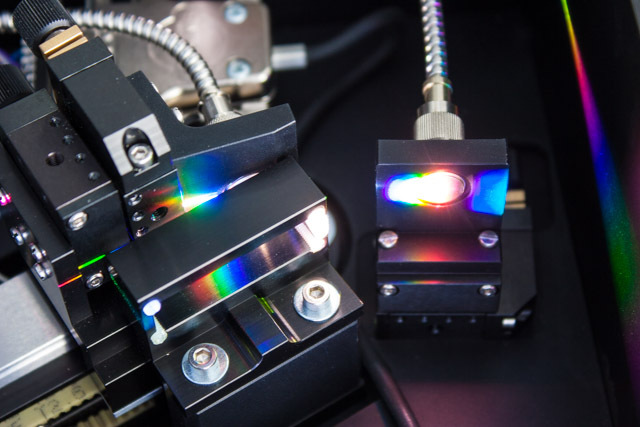 Long-standing experience in the design of optical systems is the basis for our ability to support you in all your projects in optics and optical measurement technology. We can cover the entire process of product development, from concept via prototype to series production. For the development of optical systems we apply professional software for design and analysis. We use OpticStudio ™ from Zemax. Today, OpticStudio ™ is used world-wide by companies in the optical industry, whether for the development of simple lenses or the construction of complex satellite instruments. 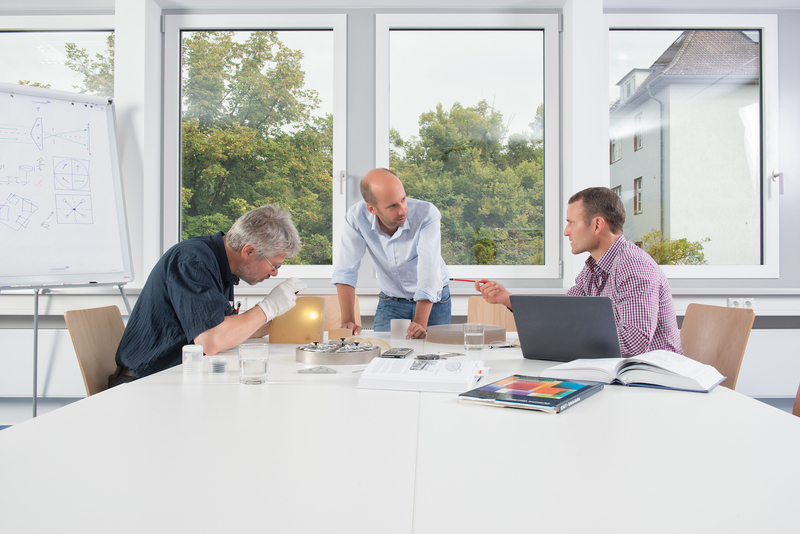 Our competence in optical design allows us to quickly find the right optical concept for you. By using simulations we can provide accurate performance data even before the prototype is built. 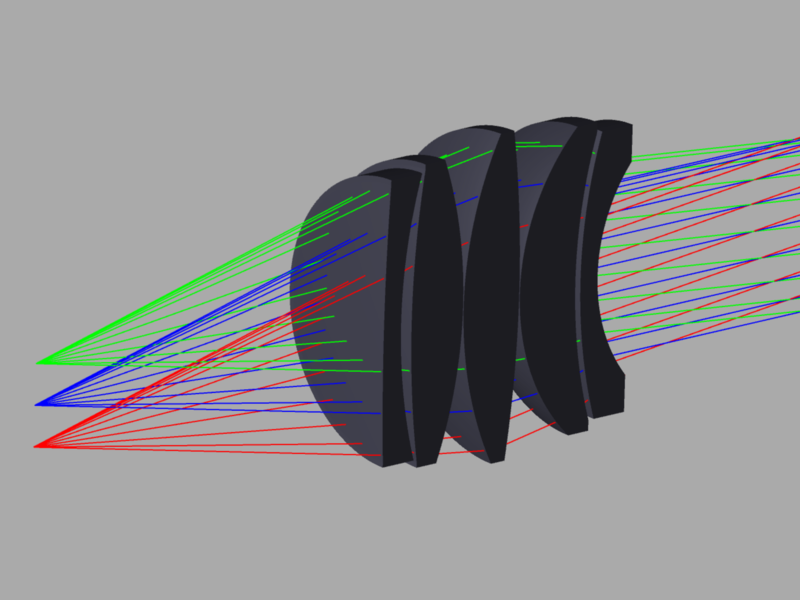 With the aid of optimization algorithms, radii of lenses and mirrors, distances and optical media are optimized. 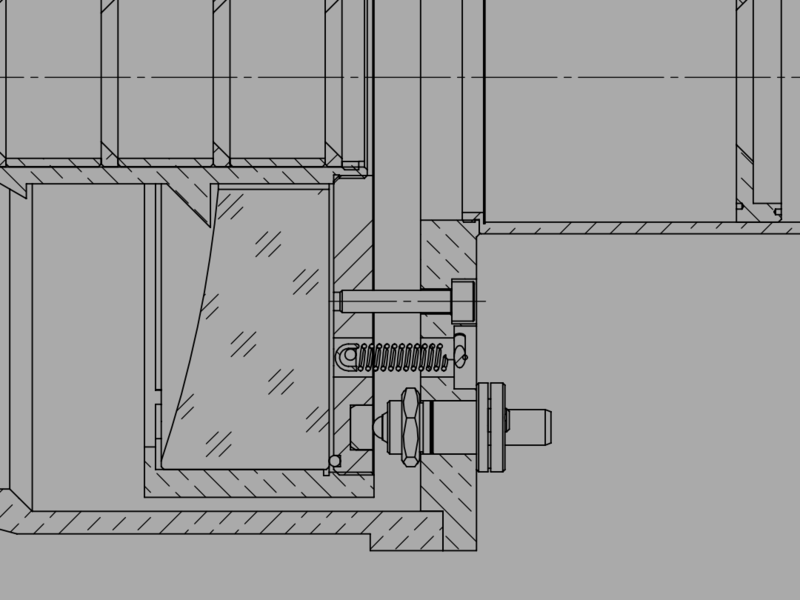 A tolerance analysis then shows the required qualities of optical surfaces, where a high positioning accuracy is requisite and which elements must be adjusted during operation. These are important parameters for the subsequent construction of opto-mechanics. The mechanical construction of a modern optical system requires expertise that is based on a long tradition of scientific and commercial instrument building. Optical elements often need to be accurately positioned to a few micrometers and arc minutes. The design must allow for such highly accurate adjustment. At the same time, the position in the finished device must not change during operation and must be stable against temperature fluctuations, vibrations and shocks. We select the optimal camera or sensors best suited for the purpose, motorize mechanical elements on request and take care of the connection to PC, laptop or tablet – preferably via USB. For image processing and the control of motorized components, we use LabVIEW ™. We can take advantage of a large library of already developed modules, thus keeping the effort for your project slim. Our special strength is the development of complex algorithms for the evaluation of measurement signals and image data. Here, we benefit from successful projects in areas such as ellipsometry, spectroscopy and MTF measurement. A well-equipped optical laboratory allows us to quickly build, adjust and measure the performance of demonstrators and prototypes. When it comes to dust-free assembly, we use a flowbox. 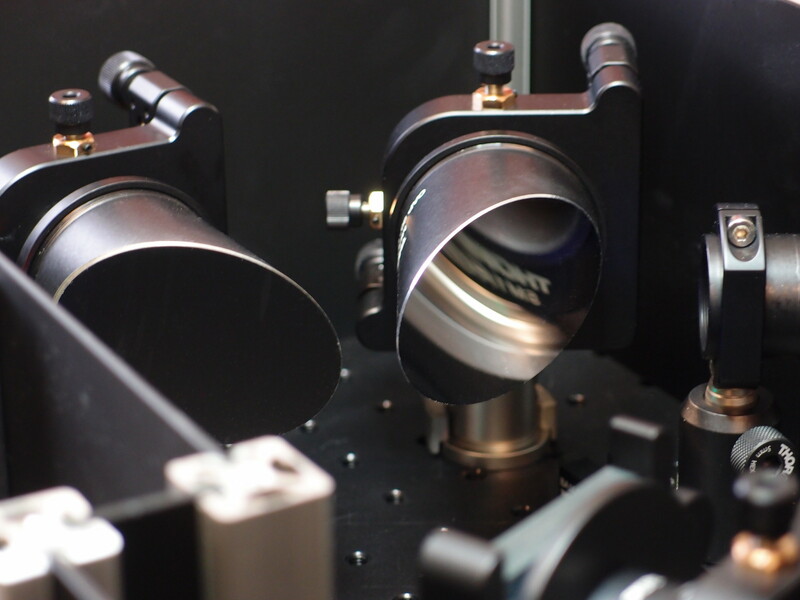 Our analytical instrumentation enable us to perform MTF measurements on objectives, interferometric characterisation of surfaces and optical spectroscopy from UV to NIR.